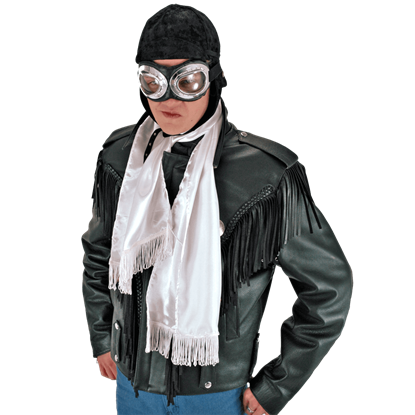 When you are flying an open-cockpit aircraft, you quickly learn that the pilots did not wear their scarves and goggles purely for style. Goggles will keep your eyes safe, and this Aviator Scarf will help keep the chill away. 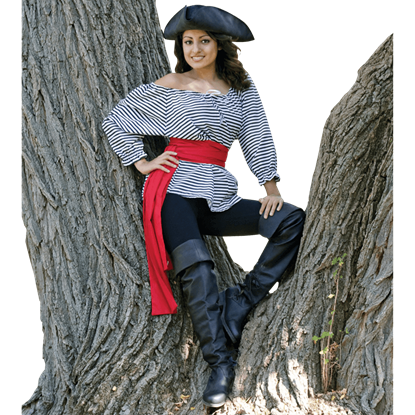 The Cotton Sash is one of the most versatile accessories you will ever own! Wrap it around your head or waist, or tie it to your arm to hold slashed sleeves out of the way. It can hold your mug, pouch, knife, or just about anything else. You know bow ties are cool, so why not up your style factor with the Doctor Who 11th Doctor Bow Tie? 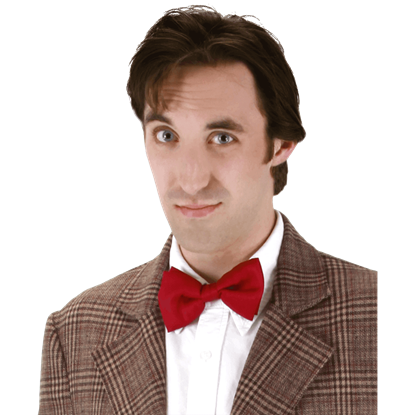 This licensed costume accessory is based on the red bow tie worn by Matt Smith in his dapper portrayal of the 11th Time Lord. 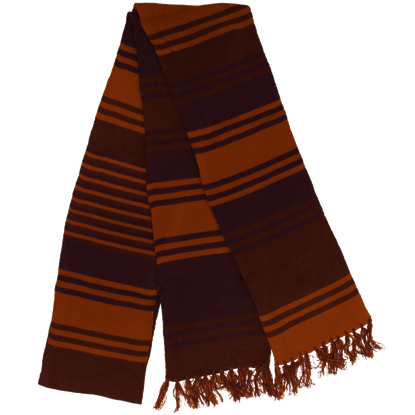 Worn by Tom Baker during his time as the inimitable Doctor Who, his iconic scarf was more than just a cold weather accessory but a staple instrument in his world-saving arsenal. 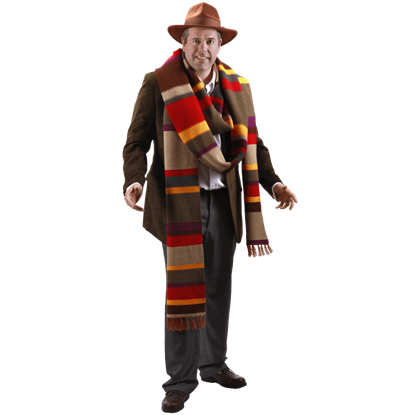 Get the look with the Doctor Who 4th Doctor Scarf. 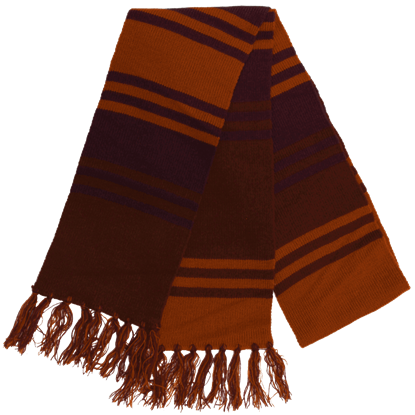 Sport the timeless style of a Time Lord when you wear the Doctor Who 4th Doctor Long Purple Knit Scarf. This officially licensed Doctor Who accessory is ideal for any Whovian fond of Tom Baker as the Fourth Doctor in his final season. Doctor Who has been around for ages, both the show and the Time Lord himself, and this astounding scarf is nearly just as long! 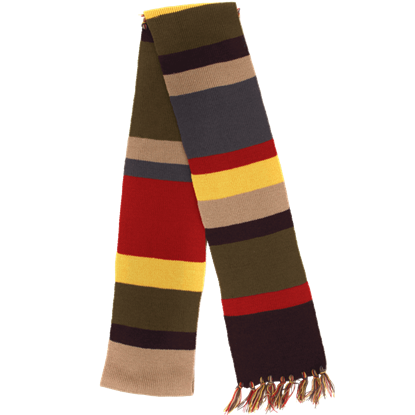 The Doctor Who 4th Doctor Premium Knit Scarf is based on the scarf worn by Tom Baker as the Fourth Doctor. In his final season as the Fourth Doctor, Tom Baker wore a scarf of different stripes. With its rich, warm coloration and tassel trim, the Doctor Who 4th Doctor Purple Knit Scarf is the perfect accessory for fans of classic Doctor Who. The Doctor has what some describe as a quirky fashion sense. Companions Amy and River did not seem to appreciate his style. 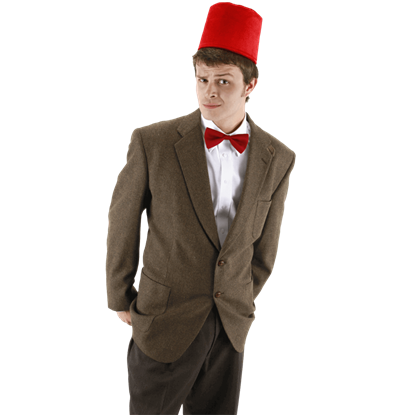 Now with your Doctor Who Fez and Bow Tie Kit, you can save the world and start major fashion trends. 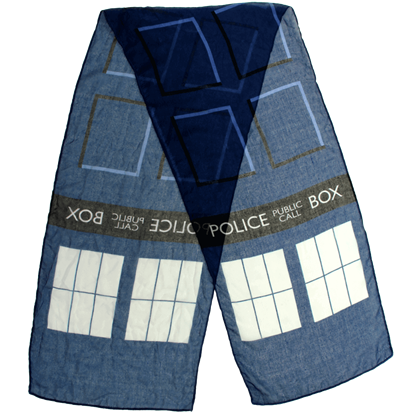 With this Doctor Who Lightweight TARDIS Scarf, you can show your discriminating sense of style without sacrificing comfort. Select an adventurous companion and go off at a moments notice to save the universe or watch it go down in flames. Fezzes are cool. Mini fezzes are doubly cool. When you pair your mini fez with a red bow tie, people will shout Yowzah! 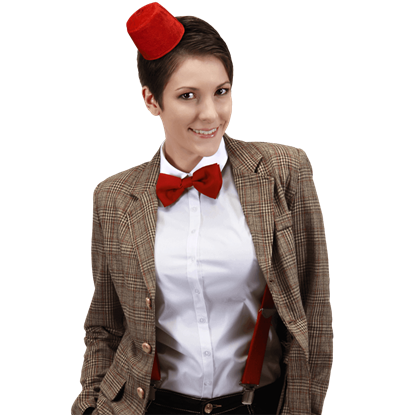 Complete your Time Lord costume with this Doctor Who Mini Fez and Bow Tie Kit. Tweed jacket sold separately. If you must wear a necktie, select one that declares your love for Time Lord shenanigans. 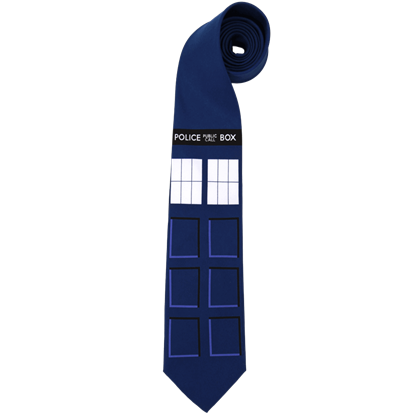 Featuring a police box design, this Doctor Who TARDIS Necktie is perfectly classy and appropriate for weddings, social galas, and bar mitzvahs. 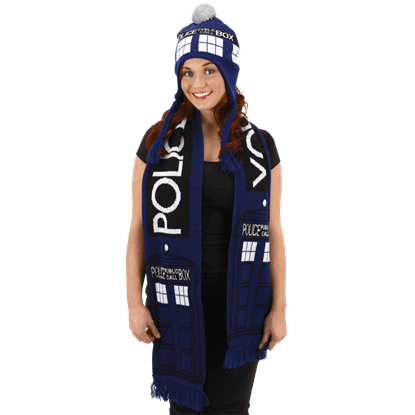 Resembling the clever camouflage of the spacecraft used by The Doctor, the Doctor Who TARDIS Scarf is generously sized to keep you warm. The bold lettering is based on the signage emblazoned on the London police box disguise. Ordered my stuff on Friday morning, it arrived at my house on Monday morning, and everything is just as great or better than I'd hoped for!